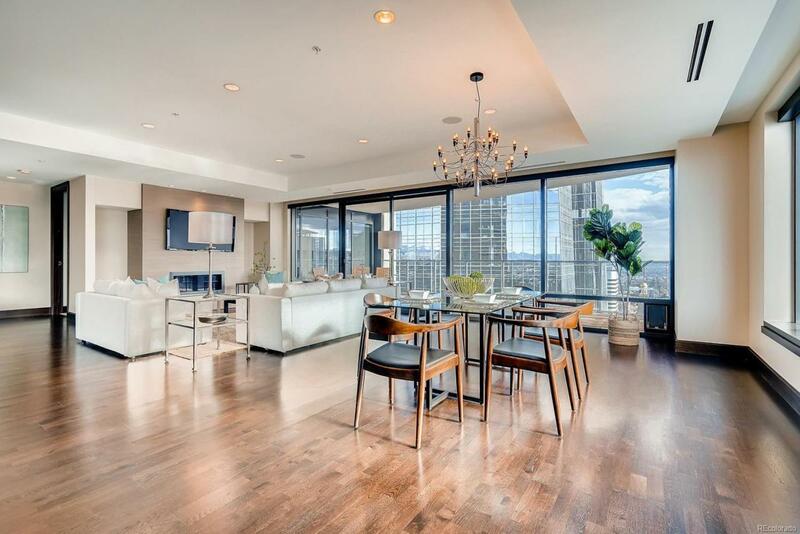 New to market condo in the heart of downtown Denver. Wonderful views, top of the line finishes, and an amenity rich atmosphere create a living experience unlike any other. A condo enhanced for entertaining with top of the line speakers installed throughout the unit including the large exterior patio, living room, kitchen, entryway, master bedroom, and guest room. Media room with full surround sound wired and speakers installed. Electronic blinds in the living room create privacy while maintaining the panoramic views of downtown Denver and the Rocky Mountains. The environment it lies within is designed for a buyer looking for luxury and convenience. Premier access to all amenities available accompanied by a 24 hour staff including concierge service. Offered by Be One Realty.